Pouring rain greeted race fans and the regional Extreme Festival circus at the Zwartkops International Raceway’s opening St. Patricks’s Day race meeting on Saturday, with most classes qualifying in the wet, before the weather cleared through the slip and slide opening race heats to deliver an ideal track for the second races that in fact saw lap records broken. Among the major attractions of the day was an impromptu Sports and GT race when the NSCC sports cars were merged with the Big Boss Auto Super Saloons as Mark Lauth drove away to an easy win in his SR2 Shelby-Nissan V6 over Klippies Krige’s Lotus 7, which fought off SR2 duo Fritz Kleynhans’ Comenius Ligier JS49-Honda. Ian Smith’s 2-litre turbo Shelby-Nissan was next up, while Gerald Wright steered his Wright Motorsport Sports 2000-Opelto SR4 victory ahead of Nash-VW duo, Hubi von Moltke and Derek van der Merwe. Richard Cooley steered his Class C FSF Mazda RX8 to Super Saloon honours, defeating Marius Jacobs’ Class B AAA Recovery Nissan Tigra, Piet Nortje’s Class D N4 Autocraft Clio Spaceframe and Franco Di Matteo’s Deltech Batteries Alfa GT. Lauth repeated his win in race 2, this time ahead of Smith with Krige third, while Wright again led von Moltke and van der Merwe home in SR4. Di Matteo took Super Saloon honours in race to to seal the overall win with JP Nortje second, while Adrian Dalton won Class C in his Xtra Golf, Evert Seyffert took Class C and Piet Nortje Class D.
Stiaan Kriel (Pozi Drive/Kalex Polo) romped to a comfortable opening Motor Mart Volkswagen Challenge race win over Nic Clarke (BHT Polo) and Waldie Meintjes, while Jacques Smith had to fight off the returning Jason Finney and Deon Holliday in Class B, as Philip Croeser resisted Christiaan de Wet’s best attentions in Class C.
Kriel did not start after discovering a gearbox problem on firing his Polo up for race 2, which left Rory Atkinson (AVO Suspension Polo) to take the win from Lyle Ramsay (Monroe Polo) and Meintjes, who emerged the overall winner for the day over Ramsay and Wayne Masters (Performance Masters Polo). Jacques Smith once again held Jason Finney off in Class B with Chris Dale third this time around and Croeser repeated his Class C win over de Wet. Werner Pieterse used the damp first race conditions to best effect to drive his Scarlet Sun/Valhalla Spares Golf 1 GTi to autObarn Superhatch victory over Honda Civic duo Brett Garland (autObarn/Total/Sabat) and Jonathan du Toit (Trans Africa Racing). Louis Scholtz (Car Care Clinic Civic) took Class B over Zane van Zyl (Credit Guarantee/Rim Africa Golf ) and Ishmael Baloyi (Trans Africa Racing Civic), while Almero van Eck (Nosler Polo) held Robert Stoltz (Jestik/Episerve/Lopec Kadett) and Juan vd Walt (Building Code Consultant Fiesta) off in Class C.
Du Toit turned the tables on Garland and Pieterse in the second race to see the trio split by half a second in the overall standings, while Scholtz repeated his Class B win over van Zyl, with Trevor Stringer third in his Citrine/PTM Peugeot 206 as van Eck beat vd Walt to second in Class C, as he turned the tables on Stoltz. Neil Lobb and his yellow TVR Chimaera revelled in the slick conditions of the opening Car Care Clinic 111 to beat Gerhard Henning (www.toyota-spares.co.za Golf) by 0.3 seconds with veteran George Bezuidenhout third in his Accolade/CES Forklift Primera from Wouter Roos (Stata Drilling Golf). Behind them, Justin Gordon’s Class C 3D Nutrition Honda Balladeput won over Paul Saayman (Intercity Auto Movers VW Caddy), Wayne Masters (Polo) and Rodney Norman (3D Nutrition Ballade), with Class B runners Veritie-Anne Joubert’s Honda Spares Ballade and Tony Sharp’s Giulietta further back. A separate opening race for Classes D and E saw D driver Almero van Eck (Taurus Polo) beat Class E man Pieter Kirkhoff (Wife’s Golf) and Craig Botha (Jumbo Golf). Bjorn Gebert and his FAS Alfa Romeo GTV6 turned the tables on Lobb and Henning in Race 2 as all classes raced together in Race 2, while Saayman beat Louis Cloete and Joubert in Class B; Norman defeated Masters in Class C, van Eck Craig took D from Botha and van Heerden and Kirkhoff topped Class E.
Jaco Schriks (Bean Child Coffee Rhema 2) took the opening Hankook Formula Vee race win over Lushen Ramchander (Technical Rope Forza) and Lendl Jansen, with Peter Hills’ Lube Fusion Rhema fourth from Gert van den Berg (BP Nantes Rhema) and Brandon Hills’ second Lube Fusion Rhema. Schriks made it a double win when he took Race 2 from Rhema trio Ross Rugheimer, Symm Grobler and Ramchander, with van den Berg fifth from Jansen. A lone two-wheeler race saw and epic duel between Bridgestone Challenge bikers Coen Erasmus (Auto Investment BMW) and Warren Els (Honda CBR), with Erasmus taking the opening race by two seconds. Class B runners Mark Wakeling (Westside Honda), Christopher Kretzen (Buissinne Kawasaki and Harry van As (Wellness Honda) next up, as Lafras Fritz (Rutpin Kawasaki) and Loutjie Vermeulen (Auto-Lo/BST Suzuki) took Classes C and D. Els turned the tables on Erasmus to take a 0.2 second race 2 win with Wakeling beating Kretzen and Nigel Brandt (Kawasaki) in Class B as Fritz and Vermeulen did class C and D doubles. Keagan Pottas (EV Honda) made no mistakes to take Motul MPC saloon victory over Adrian Dalton’s Golf, while Jeff Langeveldt (JDM Honda CRX) beat Bjorn Gebert’s FAS Alfa Romeo GTV6 to Class B and Paul Verios (Acrotek Golf) defeated Andy Gossman (Dimension Scirroco) in Class C. Franco Di Matteo took Class D win in his Deltech Laser, Daniel Luwes’ (Ballade) won Class E and David Coetzee took SRA honours with his LEET LoCost. Pottas repeated his win over Dalton as Langeveldt took the second Class B win over Langeveldt, but Paul van Niekerk took his EV Dynamics Golf to Class C honours and Gebert took Class D in his GTV6. Maritz le Roux won Class E in his 111 Plumbers Polo and Coetzee repeated his Locost SRA win. Alfa Challenge man Bjorn Gebert drove his FAS GTV6 to victory in the race they shared with the Midvaal Classics, of which category filled the balance of the top six. Class E men Martin Botha (Team Climax Datsun 1200 GX) and Brendon Parker (Datsun GX Coupe) were next up ahead of Class D driver Andy Gossman (Dimension Scirocco) and Class E men Ken Price (SV Tech Datsun GX Coupe) and Regard van Zyl (Alfa GTV) while Jensen Towing Datsun 1200GX duo Franz Jensen and Travis Jensen took Classes E and F. Mario Rossi (FAS GTV6) was the next Alfa Challenge car home from Tony Sharp (di Matteo/PowerMod’s Giulietta). Martin Botha took Race 2 from Andy Gossman, Regard van Zyl, Class D man Shawn Smidt (G&E Datsun) and Ken Price, with Alfa Challenge winner Sharp next up from Rossi as Travis Jensen took Class F, Andries Draper Class G and Johan Venter (Jetta) Class H. Jose de Carvalho (PowerMods 155) was the next Alfa home. 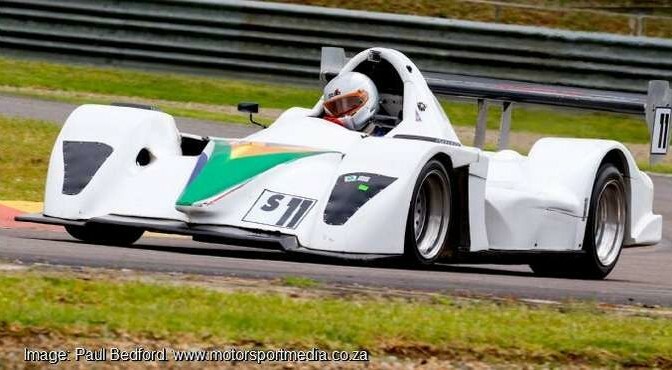 The next Extreme Festival action is this weekend’s 24 March Kyalami National Championship opener before a Phakisa regional on 14 April and then it’s back to Zwartkops again on Saturday 12 May.